You are going to Watch One Piece Episode 374 English dubbed online free episodes with HQ / high quality. Stream Anime One Piece Episode 374 Online English dub Our Bodies Vanish! The Morning Sun Shines On the Nightmarish Island!Luffy begins fighting Moria, entering Gear Second in the process, but the blows that he deals to Moria are not enough to force him to release the shadows. Moria attacks Luffy with a devastating blow, but he manages to continue fighting, and activates Gear Third while Gear Second is still active. 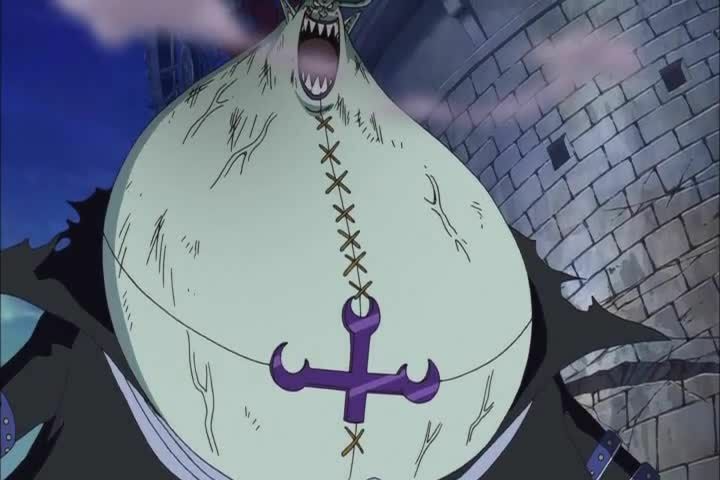 With a new technique, Gum Gum Giant Jet Shell, he knocks Moria under the collapsing mast of Thriller Bark and forces him to release all his shadows just as dawn arrives. However, the ones who had their shadows stolen start to vanish.